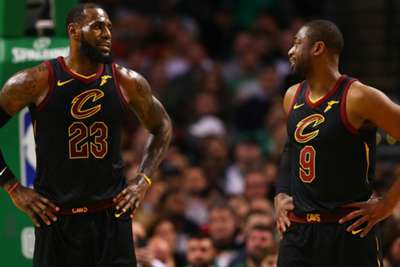 LeBron James can make the Los Angeles Lakers contenders for the NBA title, according to friend and former team-mate Dwayne Wade. James left the Cleveland Cavaliers for the Lakers after again losing in the Finals to the Golden State Warriors, linking up with a Los Angeles team that missed out on the playoffs in the last five years. Despite the Lakers' past struggles, Wade believes James will be readying himself for a season competing at the top of the Western Conference. "Do not count him out, that would be the wrong thing to do," Wade said, as reported by ESPN. "I think, in his mind, he prepares to go to the Finals every year. That is the God-given ability and talent that he has been gifted and given. "[The move] definitely has added another amazing chapter to his storybook career. We are all going to watch to see how it unfolds but I would never count that guy out." James and Wade were team-mates with both the Miami Heat, where they won a pair of championships, and the Cavs. 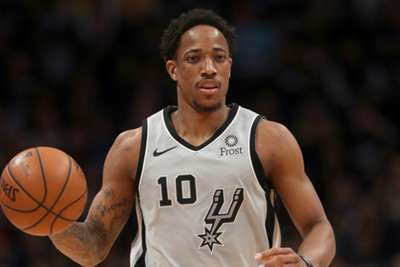 The San Antonio Spurs must win on the road to clinch the playoff series with the Denver Nuggets, leading to a warning from Demar DeRozan.